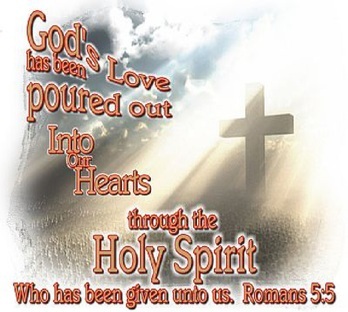 I Am pouring out My Spirit upon you in this season, says the Lord. You have cried out to Me for more, and I said, YES! Yes, I will fill you with My Spirit. Yes, I will satisfy the thirst that you have for Me. Yes I will fill you to overflowing, and this is what you will minister from. There will be a fountain of life in you that will spring up from the very depths of your own spirit, and it will produce life all around you. This is the very times of refreshing that you have longed for. I Am rewarding your desire. I Am answering your call. I say YES! Revival is on the way. Your dry and thirsty land that seems so barren and unproductive is about to change! I Am coming on the scene. The desert place of your existence will become fertile soil again, says the Lord. I Am pouring out of My Spirit into your family and relationships. I AM REVIVING LOVE between your family members. MY LOVE is unfailing. I want to rekindle love within you, and MY SPIRIT is on scene and on task to accomplish just that, says the Lord. The love is going to return! I am rejuvenating the warmth in your relationships with the fire of MY Spirit, says the Lord. You wanted to live again, didn’t you? It is coming! I Am bringing life into every area of your existence BY MY SPIRIT. For even as I said, it is not by might, nor by power, but by My Spirit, I Am reminding you that revival in every aspect of your existence is available in My Spirit and I will revive your personal land. Your environment of the deadness and the mundane is over. YOU WILL PRODUCE AGAIN, and I Am calling for increase by My Spirit. I Am reviving your JOY, says the Lord. You have moped around long enough. JOY is MY desire for you as you press into MY PRESENCE where I Am pouring out My Spirit upon you and into YOU, says the Lord. Alive and vibrant is what I Am pouring into you. I Am life, and I Am life in you in all things in this season that is ordered by Me, says the Lord. Showers of blessing are on the way, and you will be completely satisfied with the impact that it will have on you and all around you, says the Lord! Just receive, for this is the time of revival!